"The 2015 reds from these two brothers are some of the gems in the vintage. 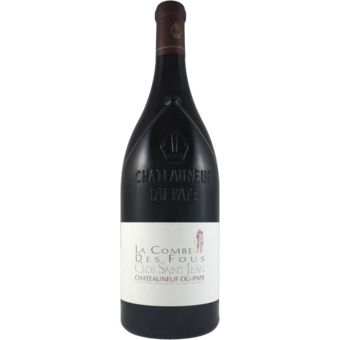 The 2015 Châteauneuf du Pape La Combe des Fous is another sensational wine. Full-bodied, gorgeously concentrated and yet with the ever present elegance and finesse this cuvée always possesses, it offers layers of black raspberries, crème de cassis, white flowers, licorice and cured meat-like aromas and flavors. It will certainly be one of the top handful of wines in the vintage. "This pumps out dark currant, plum and raspberry pâte de fruit flavors along with notes of licorice root, ganache and warm fruitcake. Densely packed, but the details are still evident through the graphite-fueled finish. Impressive. Best from 2020 through 2035."